Dallas is a big city known for its innovation and creativity. Many of those creations and innovations—such as children’s show Barney & Friends, our favorite corrective fluid Liquid Paper, 7-Eleven, Lasertag, and German Chocolate Cake (named after Sam German, not the country)—are known across the nation and even around the globe. Many of our locally owned businesses, little-known or well-known, are just as innovative. And one thing you will find no matter what part of the city you are in is our infamous good-natured, Southern hospitality. Here are the top ten locally-owned businesses that exemplify the spirit of our very own Dallas. While there’s surely no shortage of locally owned coffee shops in the Metroplex, Fiction Coffee stands out with their unique approach. 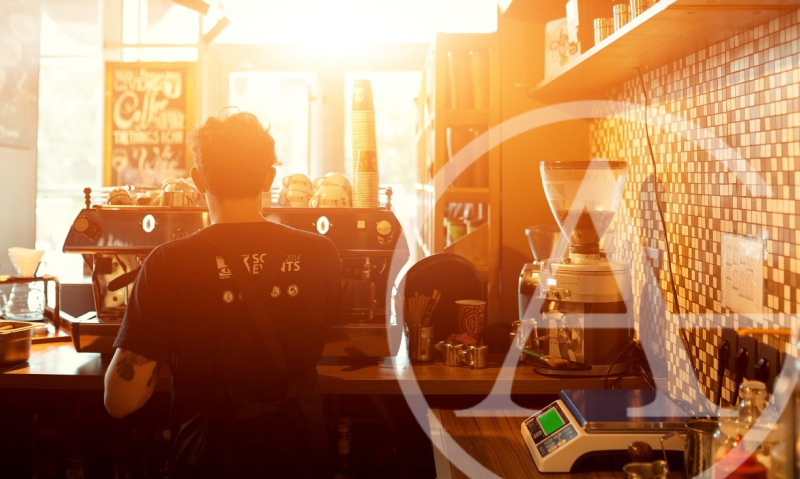 The owners and baristas believe that everyone, no matter their level of coffee understanding or experience, deserves the highest quality product possible. No pretense, just the dedication to providing the most welcoming atmosphere and the best tasting coffee in our local area. Those are the facts about Fiction Coffee! For the past 19 years, Good Records has set itself apart as more than a good record store—it’s a good time. As important as a solid stock of LP’s is, Good’s commitment to in-store events keeps its customers engaged. Shuffling through the record bins at Good’s is an experience for sure, but attending an in-store concert or an impromptu pint night is what makes this place more than just another record store. 3. We Are 1976—313 N. Bishop Ave.
A family-owned business established in 2008, We Are 1976 features beautifully designed paper goods, art prints, stationery, and home goods. This local store shares space with an in-house graphic design and letterpress studio offering custom design and luxury printing services. Whether you’re celebrating a wedding, new beginnings, or just need some one-of-a-kind stationery products, We Are 1976 has what you need, in writing. Born of the need to find a well-made, more durable leather laptop sleeve, Odin Leather Goods has found a local market here in Dallas for handcrafted leather goods. Whether it’s a belt, wallet, bag, tote or protection for an electronic device, Odin’s designs allude to a classic American style with a focus on functionality. Their items are strong and reliable enough to travel the world while still being perfect for everyday use. At Dallas Cosmetic Dental, Dr. Alhadef and our team routinely provides comprehensive dental care often not available at other general dental offices. As a result, our patients avoid the added time and expense of traveling to see a specialist. Dr. Alhadef and our talented staff place implants, fabricate single-day crowns, and use digital imaging which is both faster and more comfortable than traditional methods. We are also well known for our expert artistry in creating beautiful veneers. As a patient, you know you’re getting the full spectrum of dental care and the cosmetic options that will make you look and feel your very best. For over three decades, Dave Hinson has been collecting and selling vintage guitars. His original Killer Vintage shop in St. Louis has been a “home away from home” for some of the biggest entertainers in the rock and roll business. Now Dave has brought his special brand of high-end vintage guitar inventory to Texas. Drop by and test-drive the instruments that have turned rock musicians into rock legends. Do you like baseball? Do you like rock stars? Well then, the locally owned Warstic may be your kind of place. It was founded in 2011 as an avenue for a baseball player-turned-designer to create a unique line of baseball bats. Warstic caught the eye of major leaguer Ian Kinsler and famous rocker Jack White. The company has received praise and major league endorsement for their well-engineered and beautifully sculpted “lumber.” Also, portions of their profits are donated to an initiative designed to bring baseball equipment and funding to Native American youth. Let’s face it, when it comes to breweries these days, there’s plenty to choose from—and most of them brew a tasty variety of beers. So what sets one brewery apart from the rest? How about public service? The Community Beer Company not only serves a large selection of tasty brews, but they also have started an initiative called “The Greater Good” which is a mobile force of volunteers that performs charity work in an effort to improve their local community. Beer lovers unite and make the world a better place! Cheers! Grab a coffee or a glass of wine and put a quarter into the vending machine. Take a sip as you wait for the machine to deliver a folded piece of paper with a poem penned by a Dallas author. Deep Vellum Books showcases works from across town, around the world, and from a vast array of experiences. In addition to their hyperlocal selection, they also carry titles from small and independent publishers, writers of color, the LGBTQIA community, and from feminist perspectives. Learn about the architecture of a protest or how to boil an egg. Peruse selections of poetry and plays, check out the latest magazines and have a few drinks. Whatever your bibliophile needs, our locally owned Deep Vellum Books has you covered. Coal Vines is the place to gather with family and close friends. In 2006, Joseph Palladino brought a piece of his New York Italian heritage and coal-fired pizza to the state of Texas. And those of us in Dallas who love pizza could not be happier about it. Not in the mood for a slice? Not a problem. Coal Vines also serves pasta dishes, desserts, and has an extensive wine selection. The pizza is truly the star of the show at Coal Vines, but the service and atmosphere will be what you remember long after you clean your plate. I mean, how could this list exist without a BBQ joint? We’re talkin’ Texas here. Honestly, there are a host of legit BBQ joints that could have fit in this spot, but Lockhart’s is special. Did you know Lockhart Smokehouse is the only place in the DFW area where you can get Kreuz Market Sausage? Whether you choose brisket, sausage, or ribs, all of Lockhart’s meats are smoked over genuine Texas post oak and served on butcher paper. Updated versions of classic southern sides and some traditional family favorites round out the menu. Add a cold Texas brew to your order and enjoy the smoky goodness that is true Texas barbecue.